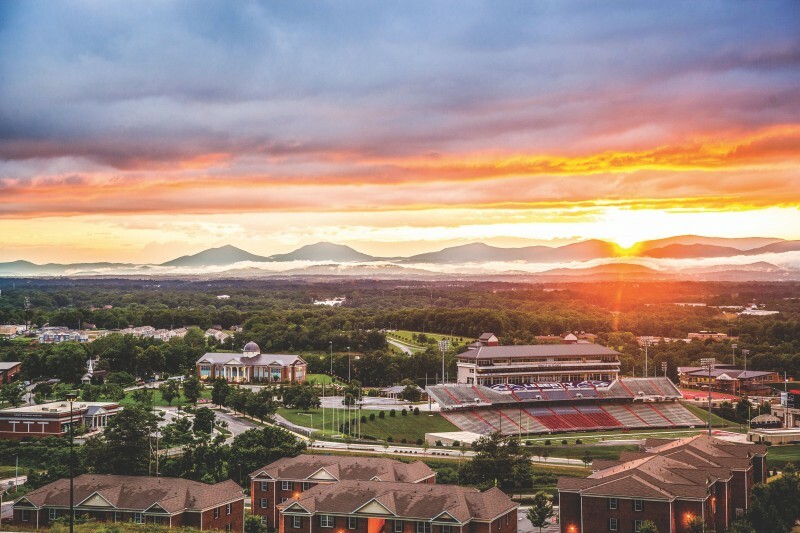 In the past 10 years since the death of Dr. Jerry Falwell Sr., Liberty University has significantly bolstered its economic status and diversified its investment portfolio to make it one of the most economically-sound universities in the nation. Enlarged revenue streams and strong year-to-year financial gains from investments continue to improve Liberty’s bond rating and increase donor confidence. The most recent records available show Liberty has collected more than $1 billion in revenue alone in the past year and sits on top of more than $2 billion in net assets. The calm after a storm. From its economic success, Liberty has climbed the ladder to become the largest private non-profit university in the U.S. The school continues to grow – both in assets and enrollment—with no significant stoppage in sight. At one point, though, slowdown seemed perpetual for Liberty, and the future of the school looked utterly bleak. During a span of time in the late 1980s and early 1990s, Liberty was nearing the brink of bankruptcy and may have eventually collapsed for good if it had not been for the generous contributions provided by a few major donors. According to Provost and Chief Academic Officer Ron Hawkins, Liberty’s economic downswing stemmed from the PTL scandal of 1987 when TV evangelist Jim Bakker resigned from his Christian television program, the “Praise the Lord Club,” after he was caught in publicized financial and sexual scandals. Bakker’s ousting from his television ministry translated into heavy problems for Christian radio and television ministries. “(The PTL scandal) eroded the confidence that people had in television ministry, and for a while the giving just collapsed,” Hawkins said. This collapse in giving resulted in serious financial problems for all of the ministries Falwell Sr. had supported through the “Old Time Gospel Hour,” including the young university. As Liberty’s Chief Financial Officer Don Moon clarified, the scandal happened during a time where Liberty’s campus was owned by Falwell Sr.’s “Old Time Gospel Hour.” Back then, Liberty University leased the campus from the program, which in turn hurt Liberty’s financial well-being when the show began to lose donations. With donations coming in at an all-time low, Liberty’s debt started to pile up. In late 1992, Falwell Sr. pulled the Old Time Gospel Hour from 50 television stations to stay afloat following a $5 million shortfall in donations. Financial problems persisted through the early 1990s. Money was tighter than it had ever been. 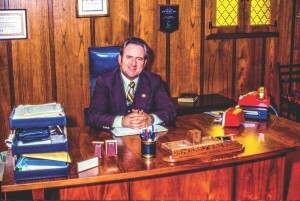 Dr. Jerry Falwell sits in his office. Date and photographer unknown. By 1995, Liberty’s debt would total approximately $83 million. Liberty’s survival guide for financial hardships came in the form of the hands-on daily cash management by Falwell Sr. According to Moon, Falwell Sr. would call the cash receipts department daily when money was tight to see how many funds Liberty received, and then would follow up with Moon consistently to find out how much money was needed to stay alive. Falwell Jr. worked with attorneys daily through the early and mid-1990s to restructure the debt and come up with a sustainable financial plan for Liberty’s future. Finally, after much prayer and persistence, Arthur L. Williams Jr. donated tens of millions of dollars to Liberty in 1997. The debt was reduced to a manageable level of about $20 million payable over 20 years, and the school was finally on a sound financial foundation. In 1985, Falwell Sr. had rolled out a novel idea that would eventually help Liberty become a world-class university – the online program. In its infancy, before the internet came into existence, the online program lived in the form of a VHS-delivery system. Lectures and sermons would be recorded on tape and then shipped to households outside of Lynchburg. The mail-delivery service started in 1985, though the online program never became financially viable for Liberty until high-speed internet was popularized in the mid-2000s – around the same time Falwell Sr. died. By that time, Liberty had long been independent from relying on donations to survive. It was making money on its own, it no longer leased the majority of its campus (Liberty leased East Campus until 2009), and construction of new facilities had taken off from the increase in revenue largely experienced because of the burgeoning online program. The Schilling Center is demolished. “Shortly before Jerry Sr. died, people began to get internet in their homes and our online education program began to gain momentum,” Hawkins said. The death of Falwell Sr. was sudden and unexpected. Hawkins said he believes it is plausible that the evangelical leader died years before he might have because of how hard he worked and how much responsibility he put on his shoulders on a day-to-day basis. 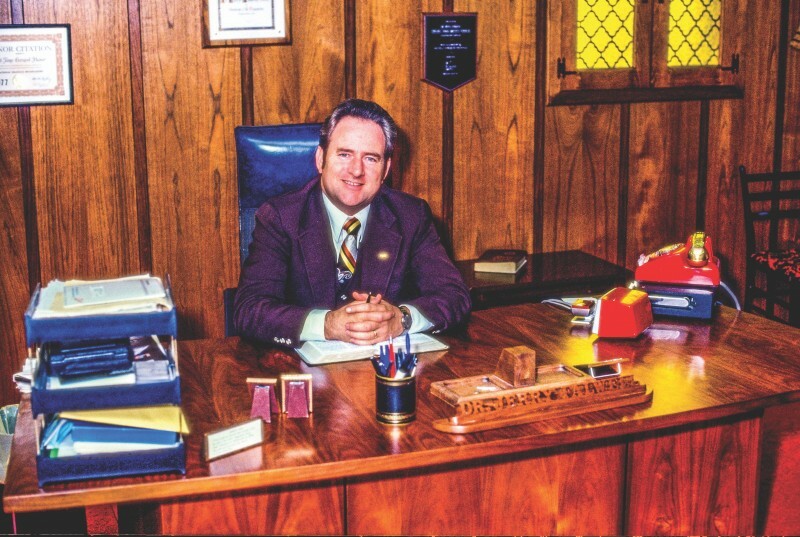 With his passing, though, Falwell Sr. left behind more than his legacy. Liberty received approximately $36 million from Falwell Sr.’s life insurance. That money gave the university the ability to pay off the rest of Liberty’s debt and allowed the school’s financial planners to focus more on expanding the campus and less on paying off liabilities. It was now no longer whether Liberty would survive the year, but how much larger could the university get in the next year, and that shift in mindset is still felt today. 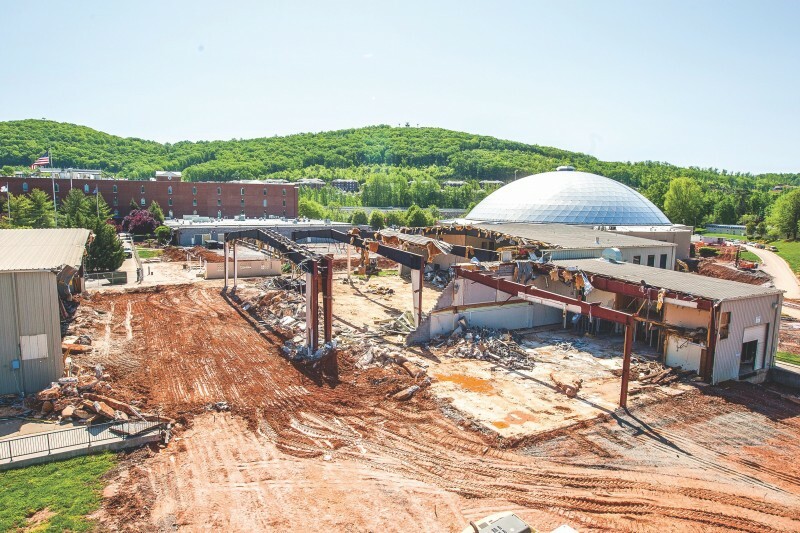 In the last 10 years, Liberty has invested $1 dollar to expand and renovate its facilities, something that would have been unheard of during the time before Falwell Sr.’s death. During the same period, Liberty has built cash and investment reserves of about $1.4 billion – enough to guarantee the future success of the resident programs in perpetuity, according to Falwell Jr. The expansion has made Liberty the fastest-growing higher education institution in the nation. Liberty’s economic impact is felt beyond its campus — it is the top employer in Lynchburg, and a recent economic report by Mangum Economics estimates that Liberty generated $14.4 million of total tax revenue to the Lynchburg area in 2015. The culmination of Liberty’s economic success, though, comes in the form of its endowment, which continues to increase in size and currently exceeds $1.4 billion. That amount puts Liberty in fifth place across all universities in Virginia when ranked among endowment size, beating out schools such as Virginia Tech and William & Mary. Moon pointed out that Liberty’s endowment has not been touched to build or renovate facilities in any manner. Those projects are instead able to be paid for solely from Liberty’s current revenue stream, which has grown by 13 percent in the past two years and recently eclipsed $1 billion. For now, Liberty sits atop of the rest as the pinnacle of what a private non-profit university’s balance sheet should look like. With its current steady financial growth and the leadership of Jerry Falwell Jr., Hawkins and Moon both said the vision of Falwell Sr., donors and alumni, is being fulfilled more than any one could probably have ever imagined. Will Young is the news editor.